India’s leading car manufacturer, Maruti Suzuki India Limited has recorded total sales of 165,346 units in the month of July 2017, growing 20.6 % over the same period of last fiscal. This includes 154,001 units in the domestic market and 11,345 units of exports. The Company had sold a total of 137,116 units in July 2016. 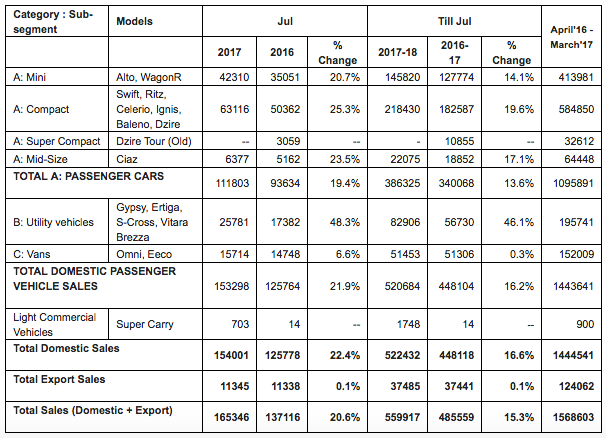 As you can see in the above sales report for the month of July 2017, Maruti Suzuki has posted 48.3% increase in sales for its utility vehicle segment containing cars like Maruti Gypsy, Maruti Ertiga (Check Maruti Ertiga Colors), Maruti S-Cross and Maruti Vitara Brezza (Check Maruti Vitara Brezza Colors). The company had sold 56,730 units of UVs in last year (July 2016). By selling 82,906 units of utility vehicles the UV segment sales from Maruti Suzuki has grown by 48.3%. 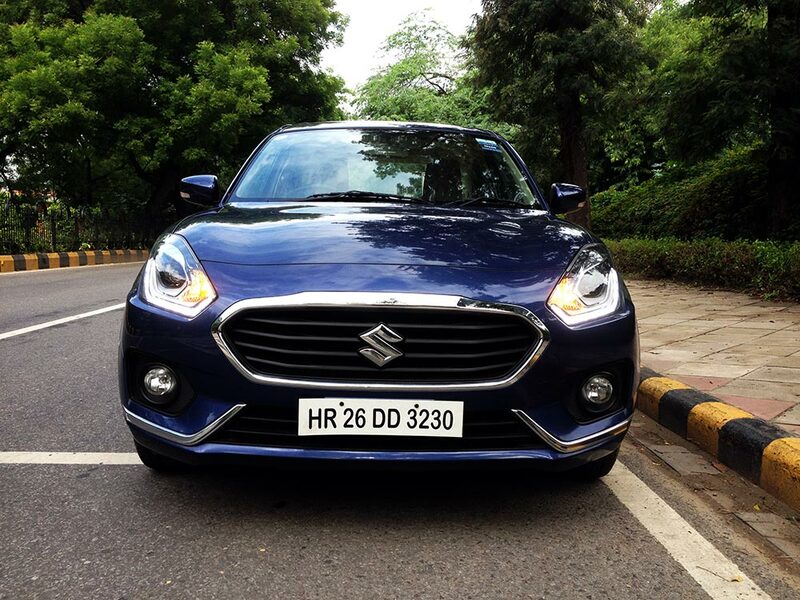 There is also 25.3% sales growth in the compact cars segment that includes cars like Maruti Swift, Maruti Ritz, Maruti Celerio, Maruti Ignis (Check Maruti Ignis Colors) , Maruti Baleno ( Check Maruti Baleno Colors) and Maruti Dzire ( Check Maruti Dzire Colors). Maruti Suzuki’s Mini segment has also grown by 20.71% which includes cars like Maruti Alto (Check Alto K10 Colors) and Wagonr ( Check Maruti Wagonr colors). The only car in the mid-size sedan segment, Maruti Ciaz has grown by 23.5% by posting sales of 6377 units in July 2017 as against to 5162 units in July 2016. You can check the sales chart above for more detail. Do drop in your opinions by commenting below.